The FBI announced Friday that it’s concluding the investigation into the unauthorized flight from Seattle-Tacoma International Airport on August 10, after determining that 28-year-old Richard Russell of Sumner, Washington, acted alone. An FBI spokeswoman previously noted an incorrect age for him. 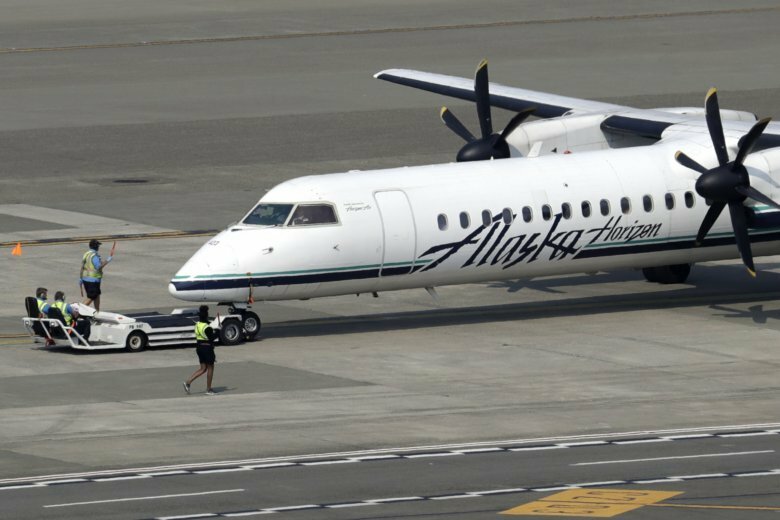 Russell had worked for more than three years for Horizon Air, which is part of Alaska Air Group and flies shorter routes throughout the U.S. West. “The FBI found this was an isolated, unanticipated incident by one individual,” the airline said in a statement. It also noted that the Transportation Security Administration’s separate investigation also determined Horizon Air didn’t violate security regulations. The airline called it “a very difficult moment for us and many others” and said it is working with experts and the government to consider security “enhancements” going forward. The FBI’s probe indicates that Russell arrived for work that afternoon at the airport without any issues. By that evening, Russell was on and off the Horizon Air Q400, a turboprop plane that seats 76 people, to position it for flight. The plane then moved away from its parked location around 7:30 p.m. and was seen performing acrobatic stunts before the fatal plunge into a thick forest on Ketron Island. It was trailed by two military F-15C jets that scrambled from Portland, Oregon, to chase the plane. “I think I’m going to try to do a barrel roll, and if that goes good I’ll go nose down and call it a night,” Russell said from the cockpit, according to a recording of his conversation with the controller. The FBI said it doesn’t appear that Russell violated any other security measures or protocols before the plane took off. Russell was properly credentialed with access to the interior and exterior of the aircraft. As part of his duties, he also knew about the aircraft’s auxiliary power unit, tow equipment and maneuvering operations, though he didn’t appear to have any formal flight training. Investigators determined that he knew how to start up the airplane and had searched the internet for flight instructional videos. The investigation also showed that the plane had a significant sideslip in the final minute of the flight but the crash appears intentional because Russell would have had time to pull the plane back into a climb. Instead, the plane column moved further forward for six seconds before the crash. Investigators didn’t find any signs of any co-conspirators or Russell addressing a motive for the incident, based on its review of his text messages, including those sent that night, and through interviews with his co-workers, friends and family.